It was quite simple, really. I discovered the grand unifying theory of the universe just now, during teatime. And I wasn’t even drinking tea. I was drinking coffee. Cappuccino, to be exact. I have always wanted to discover something big, such as the grand unifying theory of the universe, but I did not expect it to happen in broad daylight during teatime while drinking cappuccino. Then again, other great philosophers have made equally great discoveries while busy with the most absurdly mundane activities. One guy, I can’t remember who it was, made a major discovery while sitting in the bath (which was rather unfortunate for him, and quite embarrassing for his wife, for next thing everyone knew he was running down the street naked and shouting “Eureka”!). Another guy – I think it was Newton – made a major discovery by just watching an apple fall from a tree. Of course, this picture isn’t a picture of the foam on top of my cappuccino, it’s a picture of the Milky Way. The Milky Way is our local galaxy. It is our cosmic neighbourhood. Though it seems like a pretty big place to us, in comparison to the rest of the universe it is pretty insignificant. As insignificant that, compared to the rest of the universe, it is even less significant than the foam on top of my cappuccino. That set me thinking. According to Einstein, time is relative. So is space. In fact, time and space is the same thing. So, if time is relative, and if regular objects really shrink when they approach the speed of light, it must follow that size, too, is relative. How big is our galaxy? 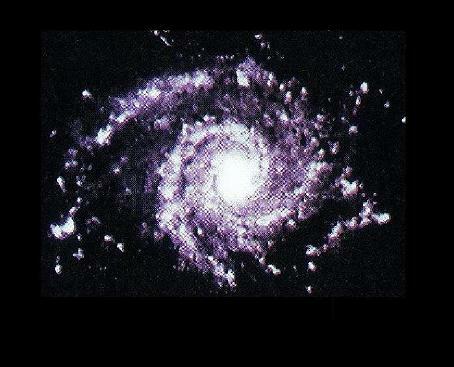 Well, compared to other galaxies, it is a pretty ordinary run-of-the-mill galaxy. Some are a bit bigger, some are a bit smaller. It’s like comparing New York to Brakpan. Galaxies come in many shapes and sizes, but they are all comparable to one another. But what about the size of the entire universe? How can you measure the actual size of the universe if there are no other universes to compare it to? For all we know, in terms of everything that exists, our universe may be very tiny. In fact, as recently explained by Jim Al-Khalili in a paperback called Paradox: The Nine Greatest Enigmas in Physics, which I had bought at an airport, from the point of view of a light wave or a light particle, it is even tinier than Brakpan. For, since (a) light moves at the speed of light, and (b) since time slows down to a virtual crawl when one approaches the speed of light, a wave of a particle of light would experience the universe as having just about no size at all. From the point of view of a wave or a particle of light, our entire universe, in fact the whole of existence and everything in it, even all the other universes (if any), would be a mere pinprick, a point. It would be smaller than an atom. It would be what cosmologists call a “singularity”. Looking at space from the perspective of a wave or a particle of light, we are back right at the beginning of time, in that split second of hectic and expectant nothingness just before the Big Bang. It’s all a matter of perspective. From our point of view, our universe is thirteen billion years old. Look at everything from another point of view (no pun intended), and the universe is being born right now. Under our noses. And no-one has even noticed anything. Not even the Guptas. Perhaps that is why the universe is expanding faster and faster. It really is exploding. It is exploding right now. We are right in the middle of the Big Bang right now. This is my Grand Unifying Theory. It is quite simple, really. I’m not very good at mathematics, but I have managed to write it into an algebraic formula. Now, that makes Einstein’s formula look rather complicated, does it? Don’t you just love the symmetry of it? What my very elegant, very simple formula means, is simply this: nothing is everything. What it implies, is this: the entire universe is probably a minute quantum fluctuation, taking part in a split nano-second. It only appears to take that long because we are so damn slow on the uptake. Gödel was right. Time does not exist. Metallica was right, too, when they sang “nothing really matters”. Matter does not exist either. Not as such. The only thing that exists is this free lunch called life. Well, it appears to be free, only because we haven’t received the bill yet. There you have it. Now all you clever scientists can work out the clever details and the practical applications of this major discovery while I finish my cappuccino before it gets cold. Cheers. 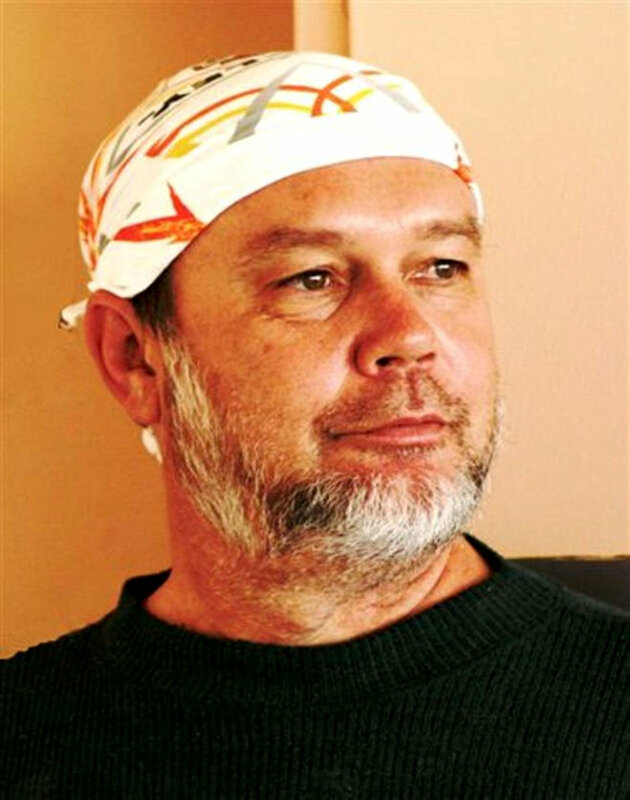 Koos Kombuis has recently published the first Afrikaans translation of the I Ching (entitled i-Tjieng – ‘n GPS vir Verdwaalde Siele) with Penguin SA. “What’s in a name?” Shakespeare asked in his day. You may find Koos Kombuis, also known as Joe Kitchen, pondering this question over a few glasses. This versatile artist is causing quite a stir, this time as a bilingual writer of children’s books who, at the same time, introduces another nom de plume, Joe Kitchen. André Letoit is not an unfamiliar name, but his readers and music fans know him as Koos Kombuis. Initially he considered reverting back to André Letoit, but then he saw the persona that Willim Welsyn constructed for his English CDs: William Welfare. It was such a straightforward and obvious solution. “The penny finally dropped when my children’s favourite teacher, Rob Moll (to whom the new books are dedicated) at Somerset West Private School, introduced me one evening at a school function as ‘Jacob Kitchen’. From there it transformed to ‘Jack Kitchen’, but then I realised there is such a guy in America, and I didn’t want to intrude on his space, so eventually I became ‘Joe Kitchen’.” Other writers may be apprehensive about arbitrarily changing the name they publish under. It is, after all, no easy task to establish a name in the book trade. Not Koos. “I’m not worried that readers will be scared away,” he says. “Especially because the book is published at the same time in Afrikaans under ‘Koos Kombuis’.” “I’m exactly the same guy as Koos Kombuis,” he muses. “But Koos drinks red wine, Joe prefers Sauvignon blanc. Koos drinks coffee, Joe tea. Koos listens to Jack Parow and Fokofpolisiekar, Joe likes the Bottomless Coffee Band and Robin Auld.” The books, titled Hubert the Useless Unicorn and Eben die Ellendige Eenhoring, are published by Naledi. They will hit the shelves in April and will also be available from Naledi’s website. These children’s books are cheerfully illustrated by Koos and are undoubtedly a horse of another colour, but stay true to his informal, accessible style. Order books, CD's and illustrated ceramic tiles with funny pics of SA celebs from my site!! !